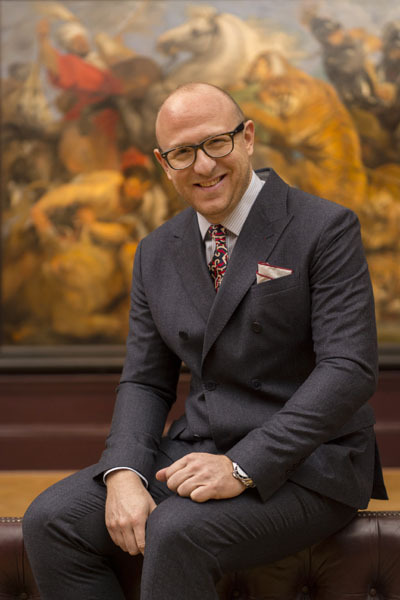 Just before The Royal Academy of Arts opened its doors to the public to see the Rubens and His Legacy exhibition I caught up with the curator Arturo Galansino in front of the two metre square painting A hunt of lions, tigers and leopards (1615-1618). I say caught up as he was running from room to room doing many interviews. I sat Arturo on the top of the backrest of the gallery bench in the middle of the room so as to get a bit of distance between him and the painting, otherwise Ruben’s animals would have engulfed him, then during the shoot chatted about cheeses from Piemonte… I know, I know, but sometimes you just have to take the subject away from their intense, busy day. I did wonder whether I should have the painting more in focus but I opted for f2.8 (wide open) which has a very shallow in-focus area. This done, I could then use a relatively fast shutter speed of 1/125 sec. thereby freezing the action when he reacted to my sophisticated Italian cheese related banter. For the record, I didn’t say ‘Say cheese’.